1909 – Commander Robert E. Peary reports reaching the North Pole. 1917 – U.S. declares war on Germany. 1942 – First Naval Air Transportation Service (NATS) squadron for Pacific operations commissioned. 1945 – First heavy kamikaze attack on ships at Okinawa. 1945 – Carrier aircraft defeat last Japanese Navy sortie (Battle of East China Sea); Yamato, world’s largest battleship, and five other ships sunk. 1945 – First two Navy flight nurses land on an active battlefield (Iwo Jima): ENS Jane Kendeigh, USNR, and LTJG Ann Purvis, USN. 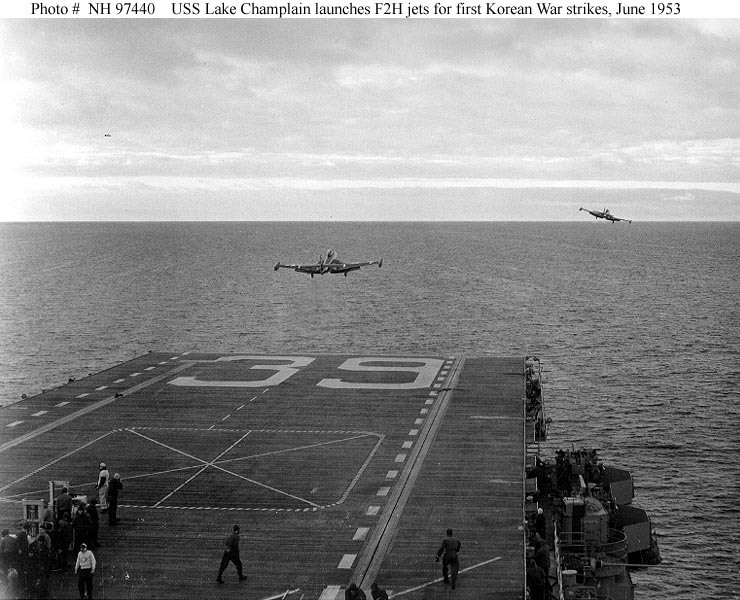 1951 – First Navy use of jet aircraft as a bomber, launched from a carrier, USS Princeton. 1961 – USS Lake Champlain brings oxygen to aid stricken passenger of British liner Queen of Bermuda. 1967 – Helicopter squadron HAL 3 activated at Vung Tau. 1911 – LT Theodore Ellyson qualifies as first naval aviator. 1918 – First Marine Aviation Force formed at Marine Flying Field, Miami, FL. 1925 – First planned night landings on a carrier, USS Langley, by VF-1. 1950 – Unarmed Navy patrol aircraft shot down over Baltic Sea by USSR. 1959 – Selection of first 7 Mercury astronauts, include 4 naval aviators. 1960 – Navy’s navigation satellite, Transit, placed into orbit from Cape Canaveral, FL and demonstrates ability to launch another satellite. 1962 – USS Princeton brought first Marine helicopters to Vietnam. This was first Marine advisory unit to arrive in South Vietnam. 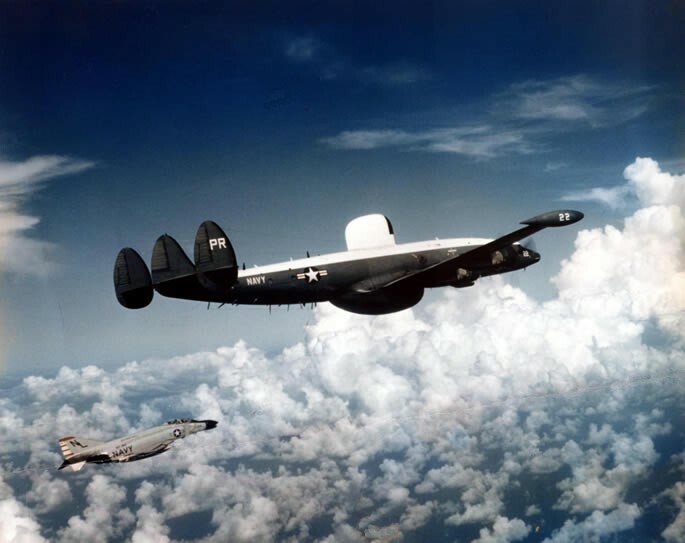 1969 – North Korean aircraft shoots down Navy EC-121 reconnaissance aircraft over the Sea of Japan. 1969 – VQ-1 aircraft shot down by North Korean aircraft over Sea of Japan. 1970 – Launch of Apollo 13, commanded by CAPT James A. Lovell, Jr., USN. Former naval aviator Fred W. Haise, Jr. was the Lunar Module Pilot. While 200,000 miles from Earth there was an explosion on board which forced Apollo 13 to circle the moon without landing. Mission duration was 5 days, 22 hours, and 54 minutes. Recovery was by HS-4 helicopters from USS Iwo Jima (LPH-2). 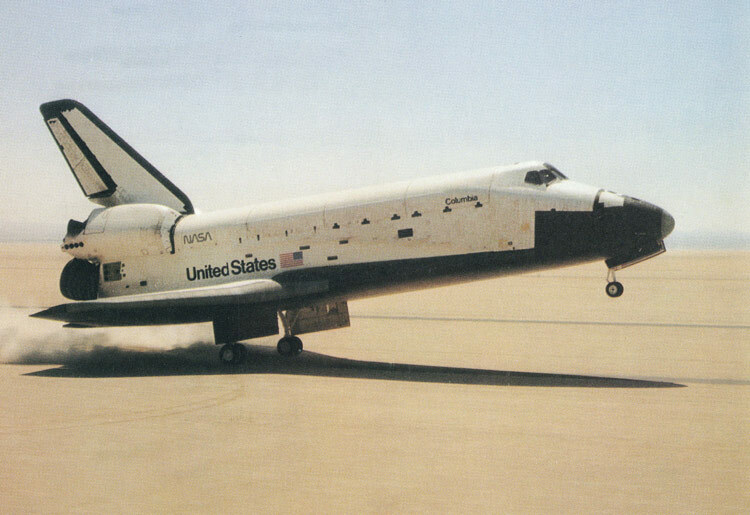 1981 – First launching of re-useable Space Shuttle Columbia (STS-1) with all Navy crew. CAPT John W. Young, USN (Ret.) commanded, while LCDR Robert L. Crippen, USN was the pilot. Mission duration was 2 days, 6 hours, and 20 minutes. Sixteen of the shuttle’s heat-shielding silicon tiles were lost and 148 damaged during reentry. 1986 – Operation Eldorado Canyon, Navy aircraft from USS America (CV-66) and USS Coral Sea (CV-43) attack Libya in conjunction with USAF aircraft after Libya linked to terrorist bombing of West Berlin discotheque which killed 1 American and injured 78 people. 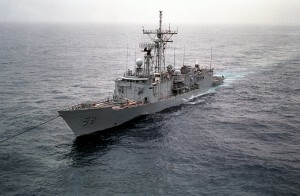 1988 – USS Samuel B. Roberts struck Iranian mine off Qatar. 1993 – Aircraft from USS Theodore Roosevelt and NATO forces begin enforcing the no-fly zone over the Bosnia in Operation Deny Flight. 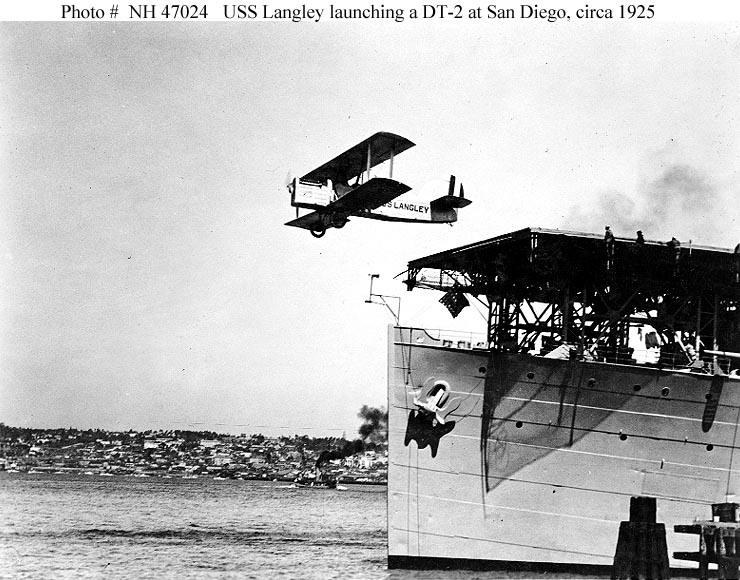 1914 – In first call to action of naval aviators, detachment on USS Birmingham sailed to Tampico, Mexico. 1915 – First Navy contract for lighter-than-air craft awarded. 1942 – USS Wasp launches 47 British aircraft to reinforce Malta. 1942 – USS Hornet launches Doolittle’s Army bombers for first attack on Japan. 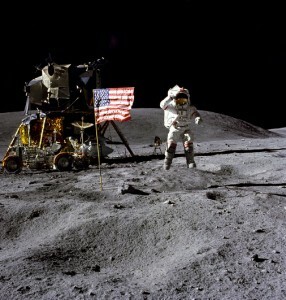 1972 – Moonwalk in the Descartes Highlands by CAPT John W. Young, USN Commander of Apollo 16. He was the ninth man to walk on the moon. LCDR Thomas K. Mattingly II, USN was the Command Module Pilot. 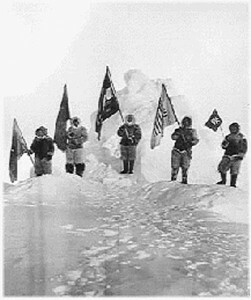 During the 11 day, 1 hour and 51 minute mission, 213 lbs. of lunar material was collected. Recovery by HC-1 helicopters from USS Ticonderoga (CVS-14). 1944 – Fast carrier task force (12 carriers) commence 2 day bombing of Truk. 1993 – SECDEF memo orders Armed Forces to train and assign women on combat aircraft and most combat ships, but not to ground combat positions.